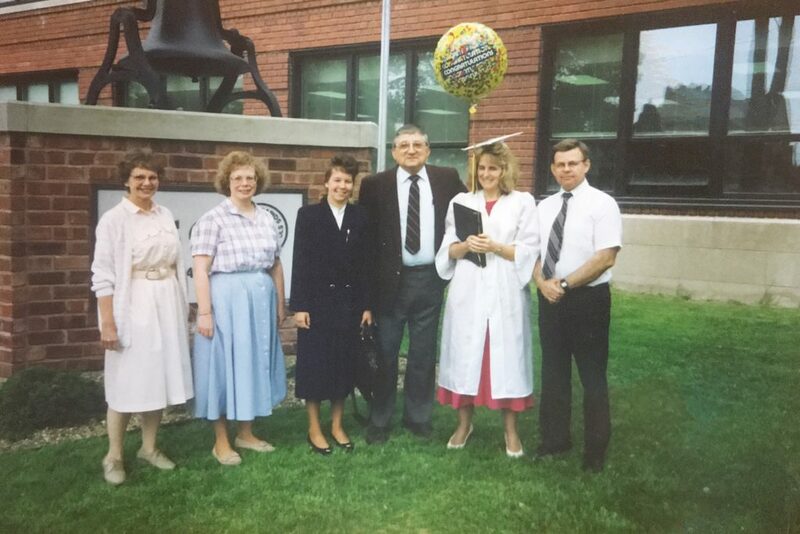 Here’s Mom shortly after she earned her Master’s degree from the University of Iowa, posing with her “downtown” colleagues at the Educational Service Center. I remember those days well. Mom turned Wilson Phillips up really loud when she was feeling good, and as she neared the finish line there was a lot of 🎶 hold on for one more day 🎶 playing in the car. I love the pride you can see on Mom’s face. She looks like she’s just done the impossible: earned an advanced degree, squeezed in on nights and weekends, while dealing with the stresses of a full-time job and a family of four. This degree opened new professional avenues for Mom, enabling her to continue her steady ascent up the school district ladder. 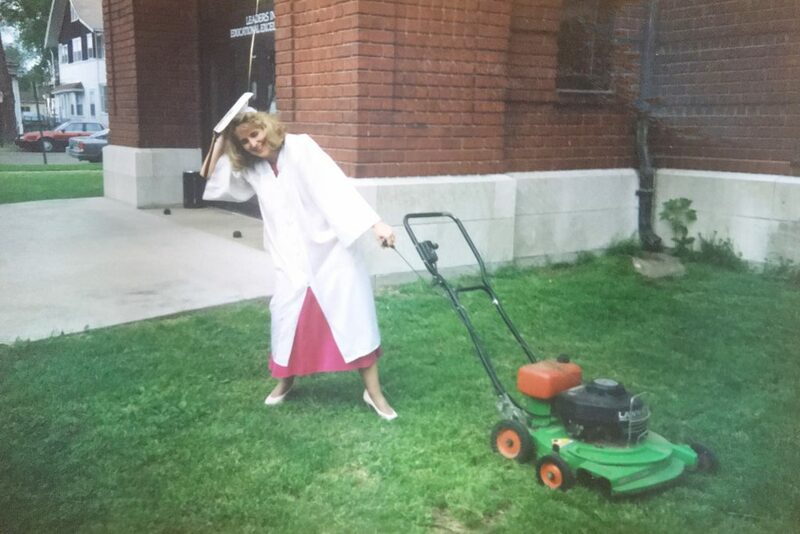 She became an elementary school principal shortly thereafter. I started to ask Mom about this, to see if I was reading that photo correctly. I didn’t get very far. Mom recognized an old colleague (a professional nemesis maybe? I remember his name coming up at the dinner table) in the photos. We were on to the next thing. The rest of this story is familiar if you’ve spent time with Alzheimer’s. We laughed for a long time, relishing the absurdity of Austin Mueller from the ESC popping up after all these years. Mom can’t remember Wilder’s name, but Austin Mueller’s still rings out. I got over the injustice of that a long time ago, fortunately, but I am still in awe of a disease that favors the bureaucrat over the grandchild. I set up my fundraising page for the marathon and many of you made sure I’m off to a great start. Thank you. (If you donated via Facebook, don’t worry, your donation will be recorded on that page shortly.) If you’re considering it, thank you for making it that far.